50 Proven Ways to Build Restaurant Sales & Profit is the sort of book you have been hoping someone would put out. If you could get 50 of the best ideas from the best minds in the business in an easy-to-read book for only $15, wouldn't you want it in your professional library? Well, this idea is the essence of the Hospitality Masters Series and the first book is here. These are some great ideas from Gloria Boileau, Susan Clarke, Barry Cohen, Howard Cutson, Tom Feltenstein, Peter Good, Jim Laube, Bill Main, Phyllis Ann Marshall, Bill Marvin, Rudy Miick and Ron Yudd. Each notion is capsulized in one to three pages so you can quickly pick up an idea and get back to work. This is truly a working book for working people! "This book fits the way we operate. It is fast-paced and packed with hard-hitting tidbits. In a few minutes, I can pick up a great idea and get back to work!" "What a great idea! I can't tell you how many management books I have started and never finished. This one has exactly the sort of information I can really use - concise and to the point. I want copies for all my managers and assistants." "You can't miss with advice from the best of the best! I like that the book doesn't preach. It credits me with enough intelligence to be able to adapt these ideas to fit my particular situations. Why didn't somebody do this sooner?" "This book contains hundreds of practical ideas in an easy-to-read format that can help any operator increase sales, reduce costs and improve profit margins. It is a useful book for any food professional from multi-unit director to small kitchen manager." "An invaluable collection of insights and experience from professionals who understand our business . . . filled with some simple "how to" solutions." "A super-concentrated collection of immensely valuable sales and profit-building ideas. 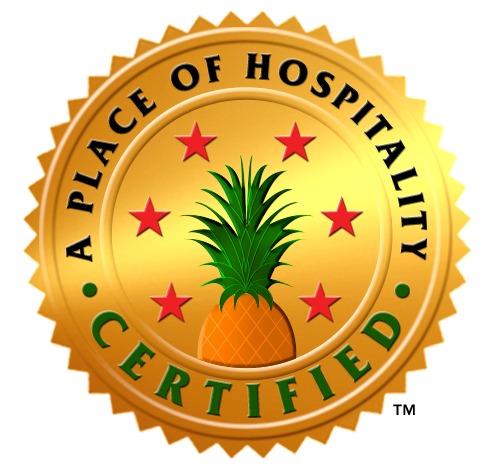 This book will be a tremendous resource to anyone in the hospitality industry." "This book is the perfect resource for busy food & beverage executives. Every page is loaded with common sense that I can put in my managers' hands for quick training of important issues. It's like a total Restaurant University in a book!" "As the owner of a restaurant, I am always searching for ways to improve my sales and profit. [This book] is a practical and effective tool for my management staff and myself to use for continual growth and success." "This book is filled with clear, concise advice that can definitely increase the bottom line. I've read industry books that are twice the length with half the insights of this one." Nationally-recognized motivational speaker and trainer to the hospitality industry. President of the Center for Foodservice Education and consultant in profitability and financial management. Q: What is the secret of success? A: Success comes from good judgement. Q: Well, where does good judgement come from? A: Good judgement comes from experience. Q: OK, but where does experience come from? A: Experience comes from bad judgement! The joke would be funnier if it weren't so accurate! Have you noticed that the School of Hard Knocks has a high enrollment? When wrestling with a problem, have you ever wished you could pick the brain of an industry expert who has "been there and done that" instead of just volunteering for yet another "valuable learning experience"? Well, that is precisely the purpose of the Hospitality Masters Series of books. We tapped the leading consultants and speakers in the foodservice and lodging industries for their most successful ideas on a series of topics essential to success in hospitality. Hospitality Masters Press was formed to collect these gems, distilled from years of industry experience with their own (and other's) triumphs and tragedies, and present them in bite-sized pieces that even the most harried manager can quickly digest and apply. The consultants, speakers and authors whose ideas are collected here are the best of the best in our business. At any meaningful gathering of industry leaders in North America, one or more of these experts is probably sharing insights in a standing-room only seminar or workshop. When the leading operators in the US and Canada look for professional counsel, these are the names on the "short list." Our contributing authors produce the tapes that encourage and inspire thousands and write the books that become standard industry references. 50 Proven Ideas to Build Restaurant Sales and Profit is the first in a most valuable and exciting series. We welcome any comments you may have on this book as well as your suggestions for future titles. We believe the books in the Hospitality Masters Series will become must-have additions to the professional library of every foodservice and lodging executive. Profitability is the interaction between income and expense. If you can increase revenue or lower costs, you are likely to have more money on the bottom line. If you can do both, you are guaranteed more profit. The most immediate way to build the bottom line is to boost sales. You do not have a cost problem that cannot be covered by higher volume. In the pages that follow, you will find tested ideas to help you gain more sales from your existing customers as well as powerful ways to bring in new patrons. The other piece of the profitability puzzle is costs. Nobody ever got rich by saving money but you can not afford to waste your resources. Because this book is intended for the seasoned manager, we did not spend time writing about more conventional ways to control costs (like portion control.) You should already know about things like that. The cost control section includes potent but less obvious ideas on how to save money and get more bang for your buck. Finally, because hospitality enterprises are organic entities, the book includes a few ideas that are a bit more on the philosophical plane to help start you thinking on a more productive level. If you can allow yourself to open up to some new directions, you may be surprised at the possibilities you will start to see. This is not a "how-to" manual. In fact, you may find seemingly contradictory ideas in here. The industry experts we have gathered in this book cannot tell you how you should run your business - the goal is only to share ideas that have worked for others. You must decide which ones, if any, are appropriate for you. Each thought in this book has been condensed to its bare essence so some may raise more questions than they answer. If this happens, the contributing authors can provide more clarification . . . but only if you ask! Contact information is included in Appendix A. This book is a collection of bullet-proof ideas from battle-tested veterans - use it that way. Keep it close and refer to it often. Ideas you are not ready for today might be perfect answers a few months from now. Good ideas will not make rich - it is the application of those good ideas that will make life better. This book should make you think. Ultimately, the real power in these ideas may not be in the ideas themselves, but rather in what they cause you to think of. We hope you will adapt these notions to fit your needs and take them to a new level! Good luck!